Martin “Dion” Benes goes above and beyond what he’s asked. Professors are usually the ones doing the teaching. But for Grand Canyon University adjunct Martin “Dion” Benes, learning from his students is what makes him exceptional at teaching them. Benes, a math professor and statistics wizard, spends his time outside the classroom working with students in the Academic and Career Excellence (ACE) centers. He spends mornings, evenings and even weekends making sure students understand their coursework. Dr. Joe Veres, Vice President of Student Development and Outreach, said that for a while Benes was tutoring without even being paid for it. Benes has been teaching or administrating for the past 40 years. 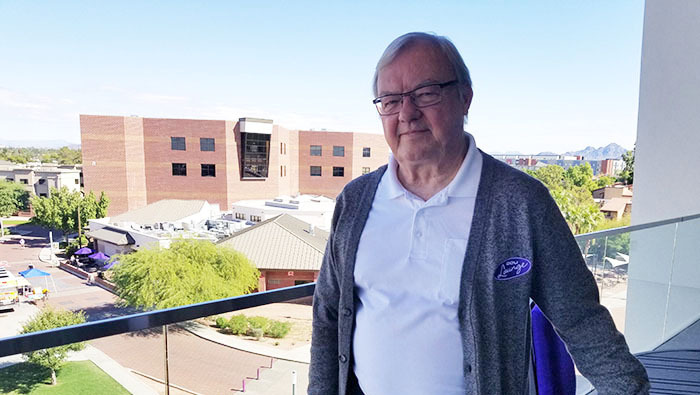 Before coming to GCU, he spent 26 years at DeVry University, where he was the academic dean for the electronic engineering technology program. One of his former students suggested applying to GCU. All GCU had to offer Benes at first was a course in Tucson, to which he commuted from the Valley once a week. But he eventually made it to main campus and has been a Lope for the past 13 years. 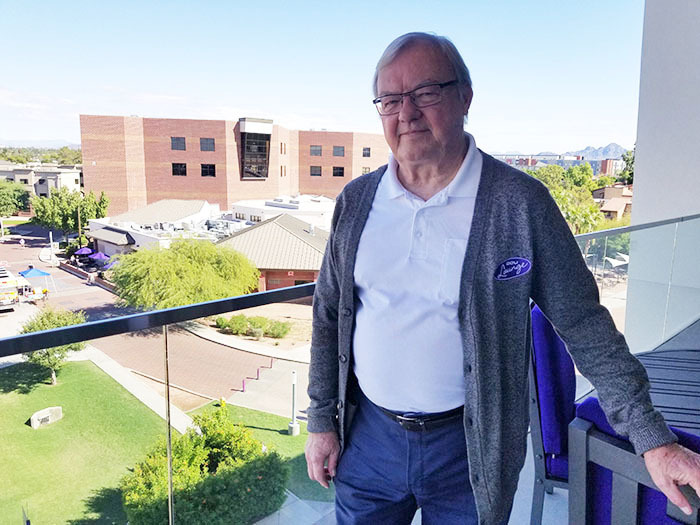 Benes, a Marine in the Vietnam War, actually first heard about GCU in the 1980s thanks to his love of baseball. When he was in the military, he used to vacation in Phoenix to visit his wife’s family. While here, he occasionally would attend Arizona State baseball games. One year, he just so happened to be in town for a Sun Devils game against the Lopes. Lo and behold, the Lopes coached by the late, great Dave Brazell, swept the Sun Devils that weekend. The campus includes 15 ACE centers, where students can receive help in any subject field although certain locations specialize in each college’s coursework. The location in the College of Humanities and Social Sciences Building specializes in CHSS, the College of Education and the First-Year Experience program. The Roadrunner Apartments center is for the College of Nursing and Health Care Practices, the College of Science, Engineering and Technology, and the College of Doctoral Studies. Encanto is for the College of Theology and the College of Fine Arts and Production. Agave is for the Colangelo College of Business. The centers are open 8 a.m. to midnight Monday-Thursday, 8 a.m. to 5 p.m. Friday, 10 a.m. to 4 p.m. Saturday and 5-10 p.m. Sunday.